A surprising little find hidden off Burnet Road on Hancock Drive. 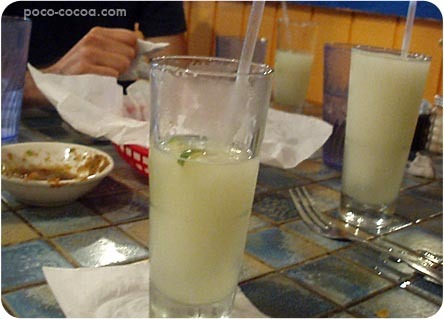 It’s never too crowded, they have great frozen margaritas, and the food is really good. The margaritas are dangerously strong. They have a few dishes that really remind me of New Mexican food, with deep red chile sauces and tender pork. 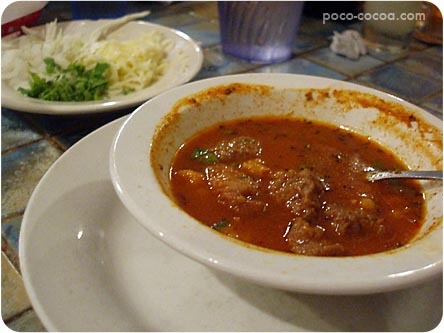 The posole is really tasty. My favorite dish is the flat enchiladas… just like we served them in New Mexico. 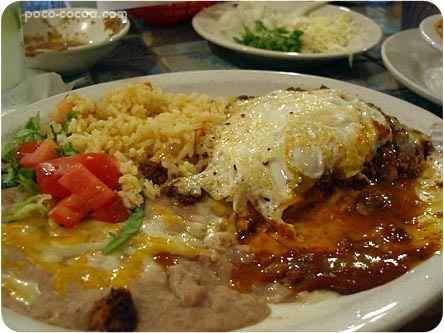 Layers of corn tortillas, beef and red chile sauce, topped with a fried egg. Their beans and rice are perfect, too. I’ve been here before! It’s such a treat. I found it randomly while driving off of Burnet and for as hidden as it was, I was surprised to see a lot of people there! Awesome post. wow, there are lots of gems in Austin! you guys go to lots of fun and tasty looking restaurants!